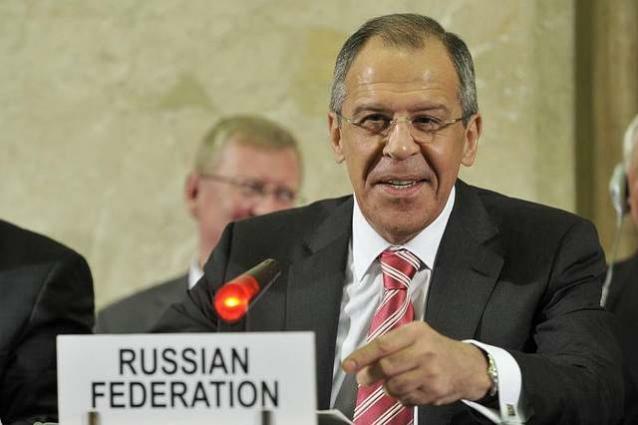 MOSCOW (UrduPoint News / Sputnik - 17th April, 2019) Belgrade will host the next meeting of the Russian-Serbian inter-parliamentary commission in June, Russian Foreign Minister Sergey Lavrov said on Wednesday after talks with his Serbian counterpart, Ivica Dacic, in Moscow. "The parliamentary cooperation [between Russia and Serbia] is expanding. The regular meeting of the bilateral inter-parliamentary commission is scheduled to be held in June in Belgrade," Lavrov said. According to Lavrov, the meeting will be chaired by Russian State Duma Speaker Vyacheslav Volodin and Serbian National Assembly President Maja Gojkovic.